Simone Manuel, nicknamed “Swimone," made history at the 2016 Olympics when she became the first Black woman to win individual gold in swimming. You’ll remember her smile and how overcome with emotion she was when she became the first African-American woman to win an individual gold medal in swimming. 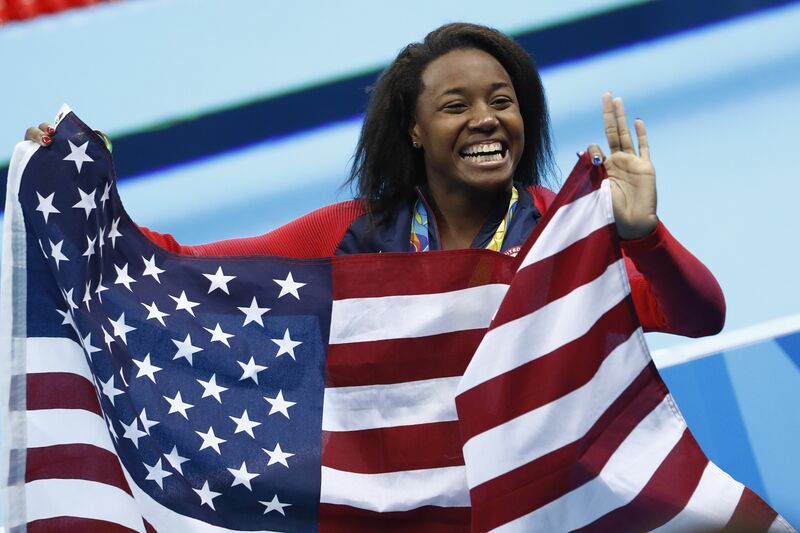 But 20-year-old Sugarland, Texas native Simone Manuel has been making a splash in aquatics long before this big day. Here are five things to know about her right now. On the second day of her swimming lessons at the age of 4, Simone was already swimming the full length of the pool. “That was the first eye opener for me,” her mother said in an interview. The Manuel family, including mom Sharron and dad Marc, are all athletes. Simone learned her competitive edge from her older brothers, Chris and Ryan, who played college sports in their home state of Texas. She credits them for making her fearless. Her friends nicknamed her “Swimone”– undoubtedly a nod to her effortless abilities once she hits water. As a freshman in 2014 at Stanford University, then 18-year-old Simone quickly grabbed the attention of many after setting the school’s record in the 50, 100 and 200-yard freestyle all in one year. Currently, she is still the American, US Open, and NCAA record-holder. Simone is the first African-American woman to win an Olympic gold in the swimming pool.